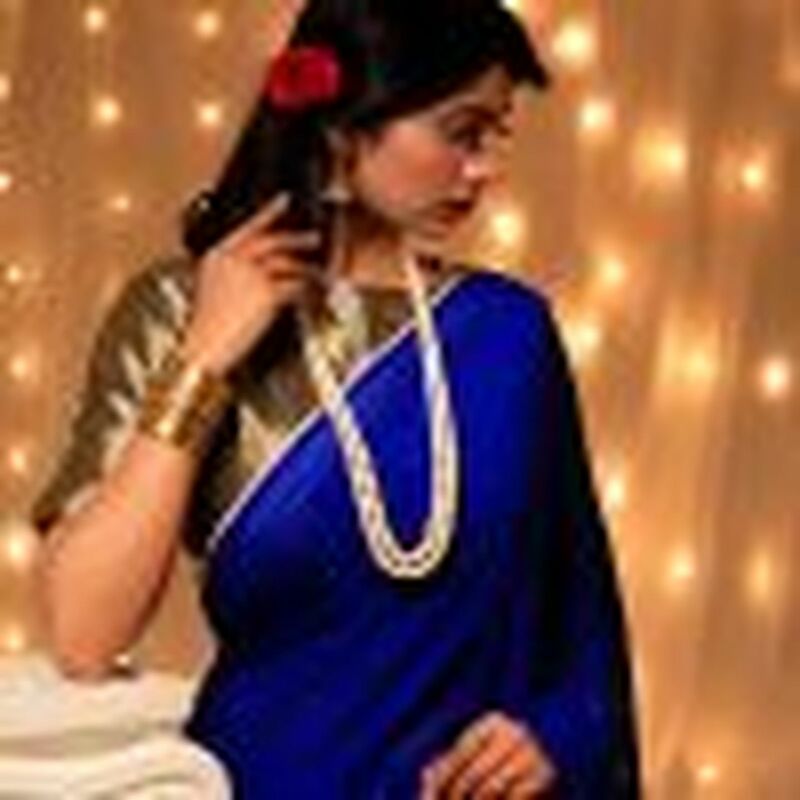 Reminiscent of the Bollywood divas of 1950s, the sarees in this collection aim at re living that timeless & elegant era, that is so close to the timelessness of Mukaish Embroidery. 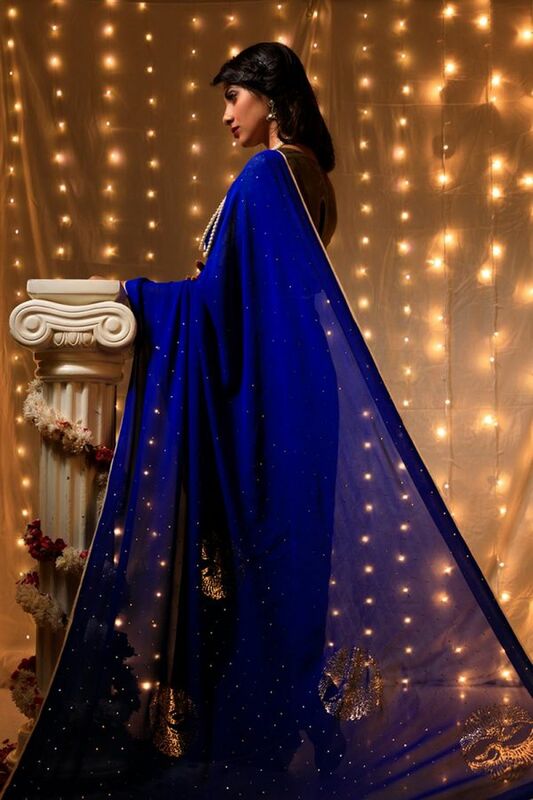 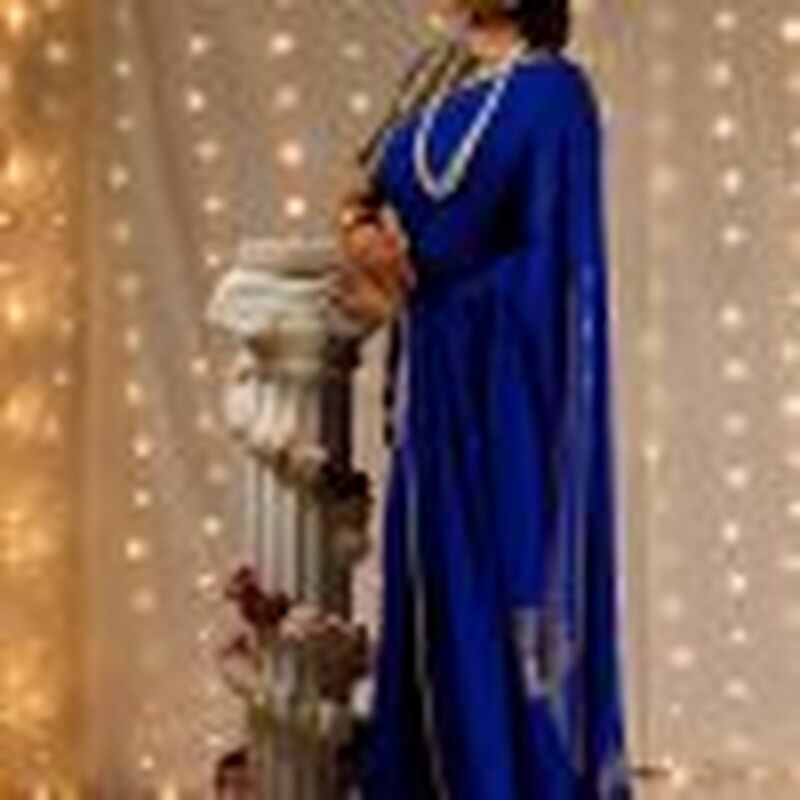 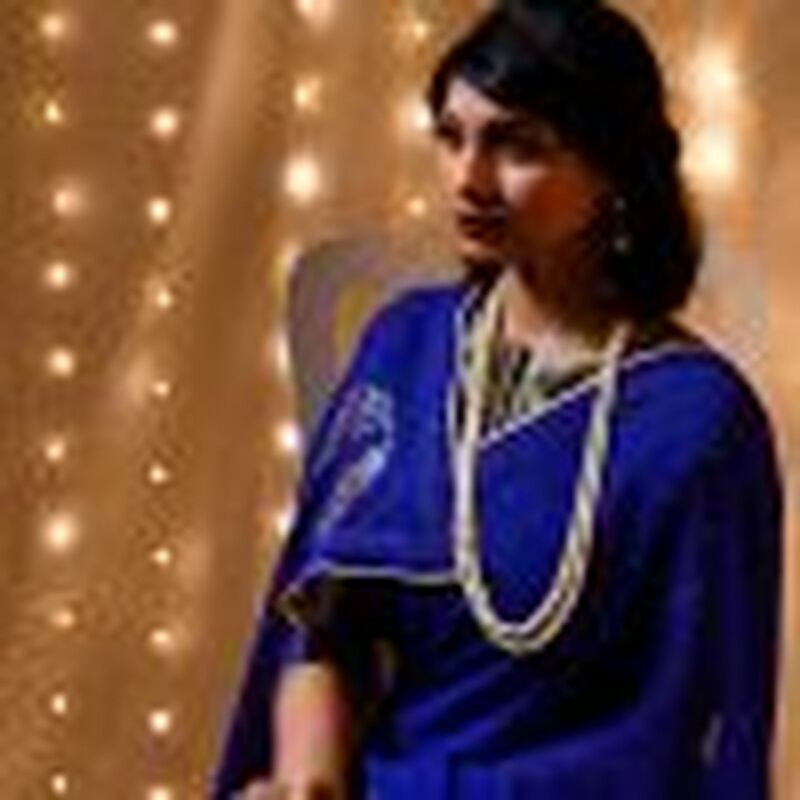 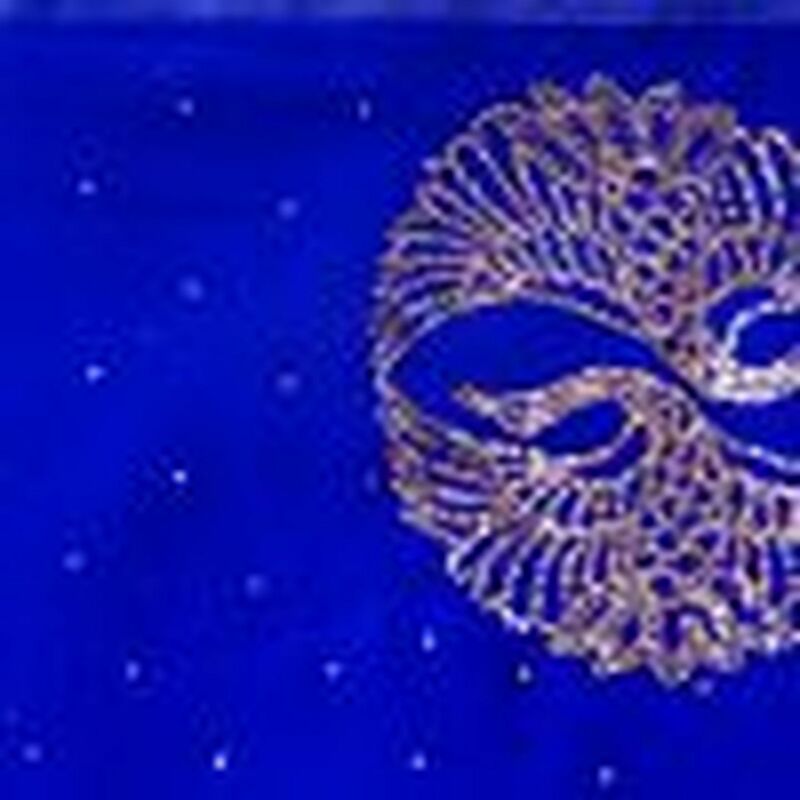 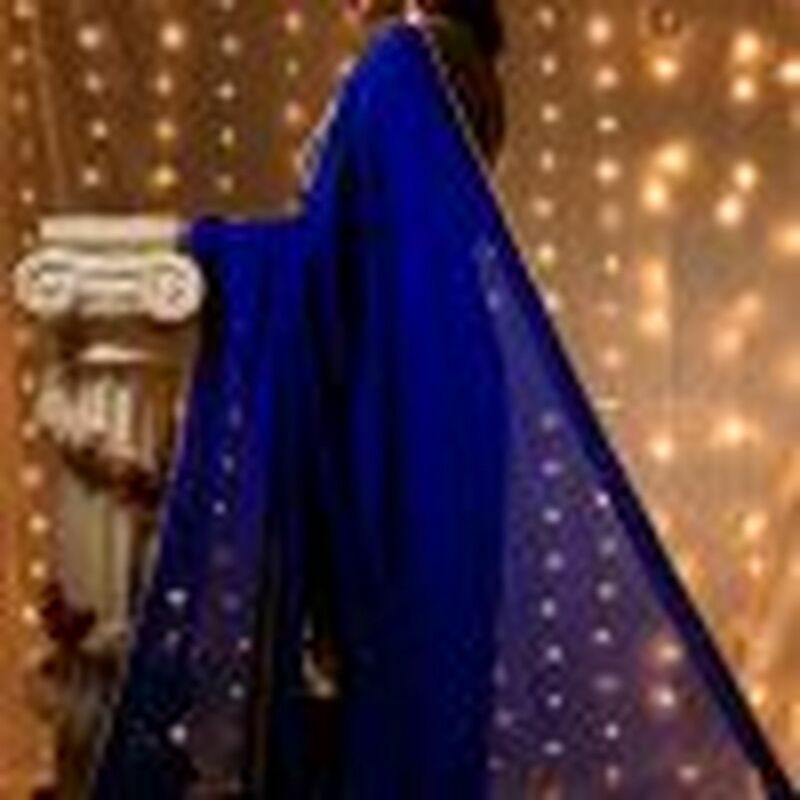 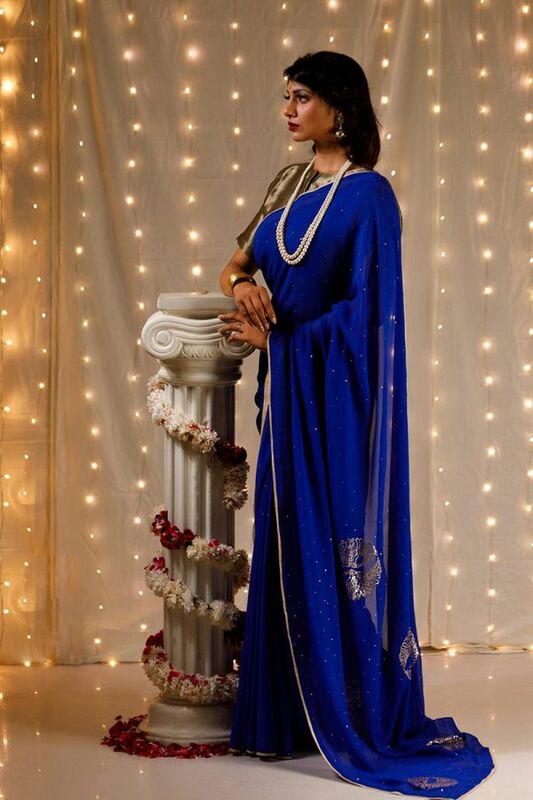 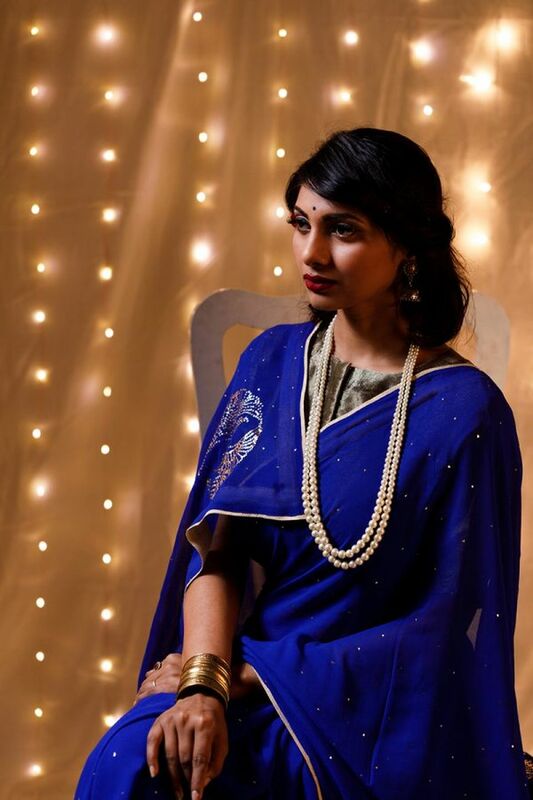 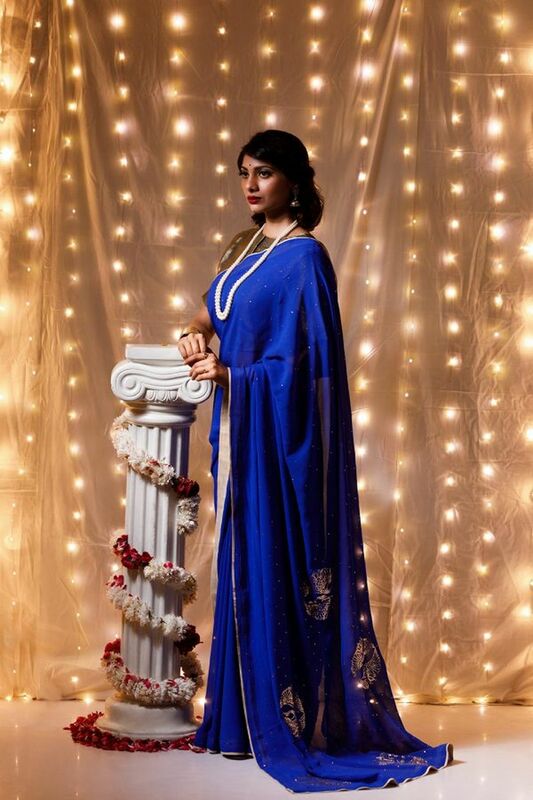 This Royal Blue Saree is adorned with delicate embroidery of Dancing Cranes (original Meiraas motif) on palla in a triangle flight pattern, while rest of the saree is covered with stars of Mukaish. 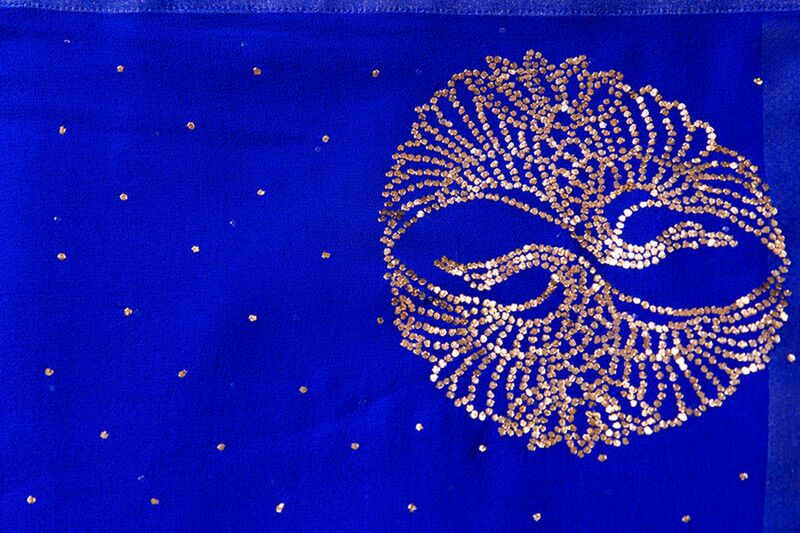 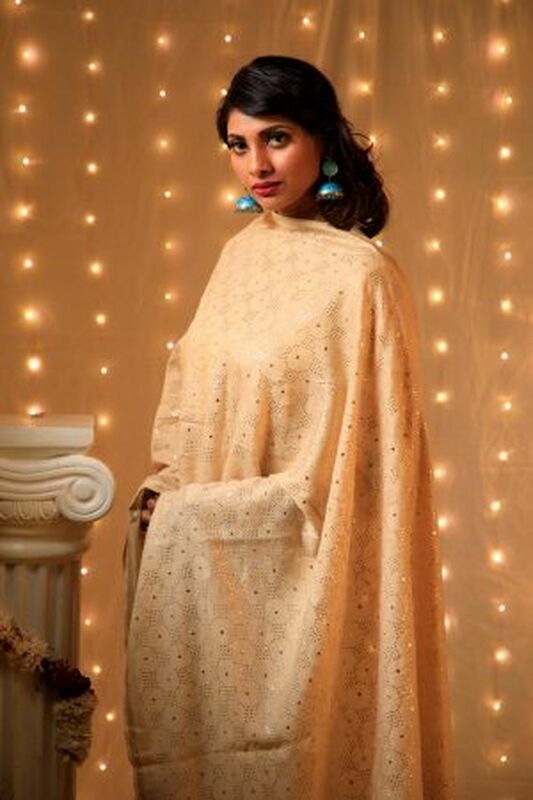 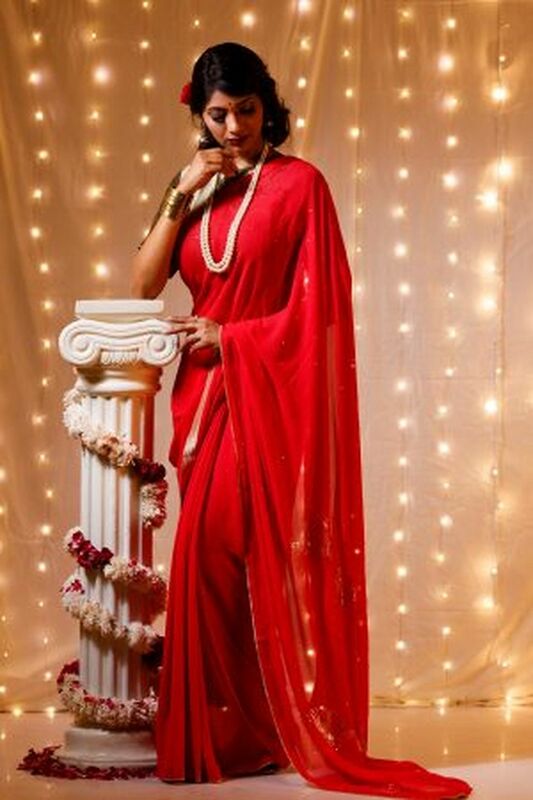 A Gold tissue facing gives the much needed finish to this beautiful saree.